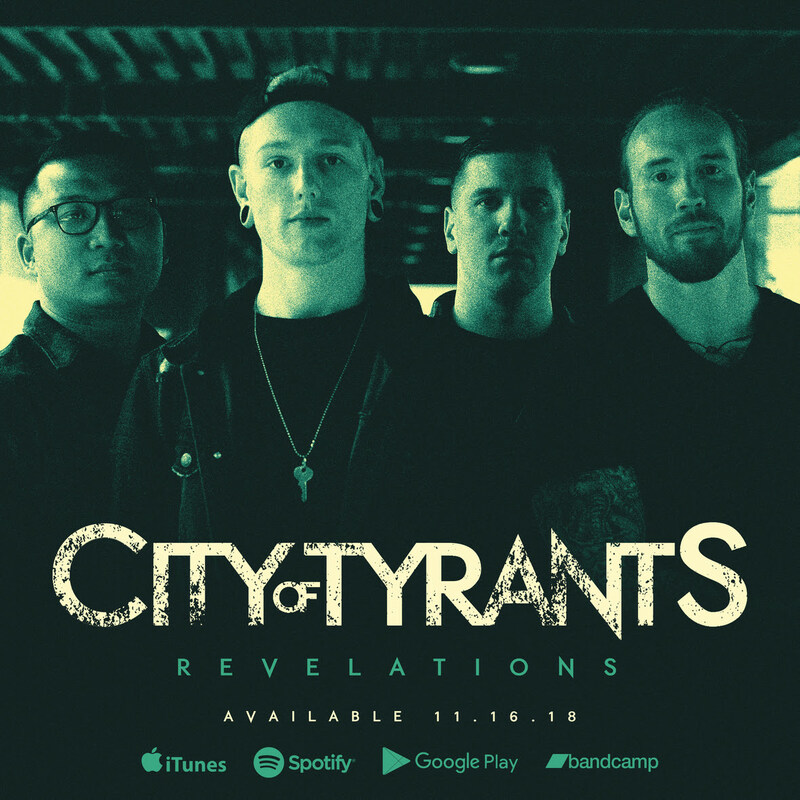 CITY OF TYRANTS - Release Lyric Video for "Astral Projection"
New Jersey based Metal band CITY OF TYRANTS has released the official lyric video for "Astral Projection," the first single off of their upcoming album, REVELATIONS. Due out 11/16/2018, REVELATIONS will be a concept album addressing the conflict and confusion of pursuing ones personal ideology. 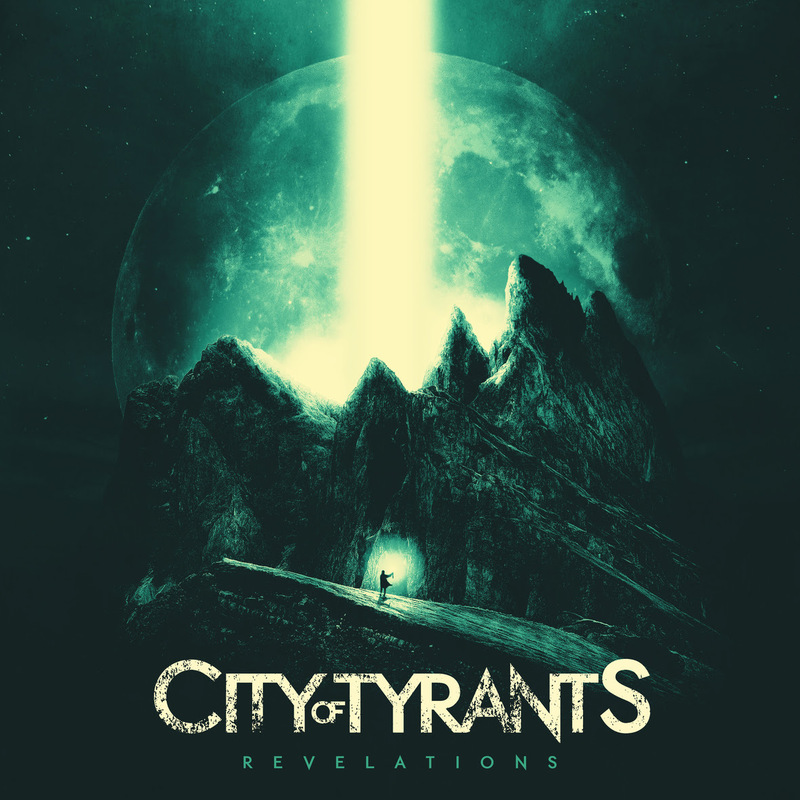 City of Tyrants was formed in 2015 by Kevin Michael (drums), Ed Tyler (guitar), Chingkhei Akoijam (guitar) & Sean Mcgurr (vocals). During a time where the music scene in New Jersey was ever changing, City of Tyrants set out with one core goal in mind and that was to create music that they liked and could be proud of. After the release of the 2016 EP Erebus, the band saw the introduction of new vocalist Charles Horning and bassist Josh Palmer. With the new lineup, COT began the writing and recording of their new album, Revelations, in 2018. Underneath all of the crushing drums, polyrhythmic guitars and soaring vocals, Revelations delivers a strong concept which is both interesting and telling of today's society.